o be honest I can't remember how it started. 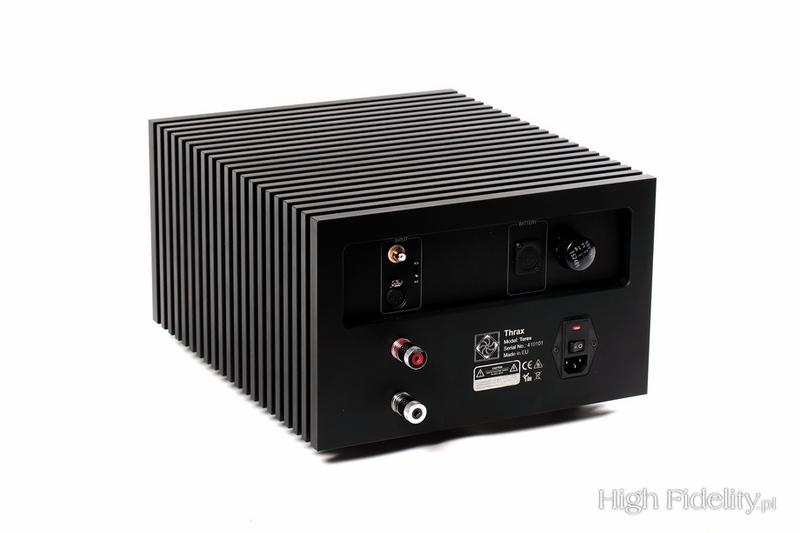 In my own review of Dionysos preamplifier for January 2011 I wrote that I'd firstly learned about existence of Thrax Audio one year earlier during High End 2010 Show in Munich. But now I really can't remember any details. It seems though that I somehow knew already then that it was a brand worth interest. 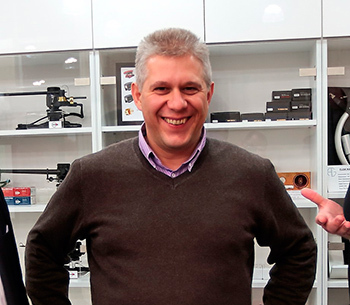 I was the first, or at least one of the first people who reviewed Rumen Todorov Atarski's product (outside his homeland, Bulgaria). 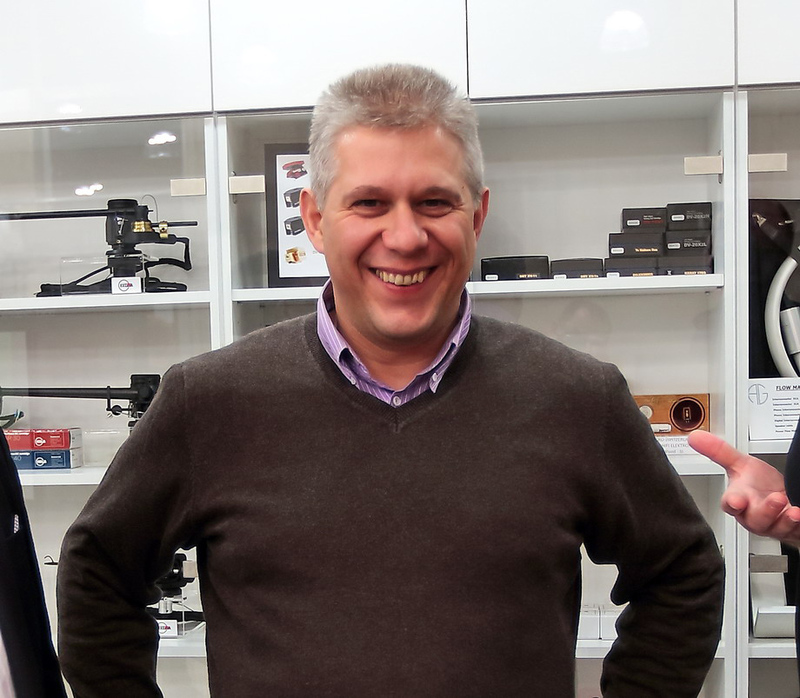 For a few years it was also the only review in Poland, as it took few years to find a proper distributor in our country. 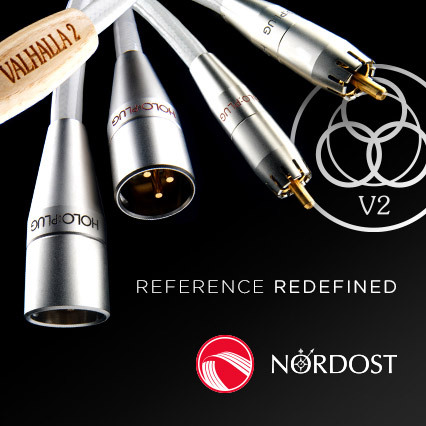 Since the foundation of this company its core product has always been a linestage – as if Rumen thought that it was a key element of the system (I always thought exactly the same thing) – that is quite a unique approach in audio world. For the first few years all other products were presented always as prototypes. As you can read below, in fact he started his audio adventure by designing loudspeakers. It took him many years before the first model, Lyra, was finally released in 2014. Just like his preamplifier and power amplifiers also speakers are quite a unique design. 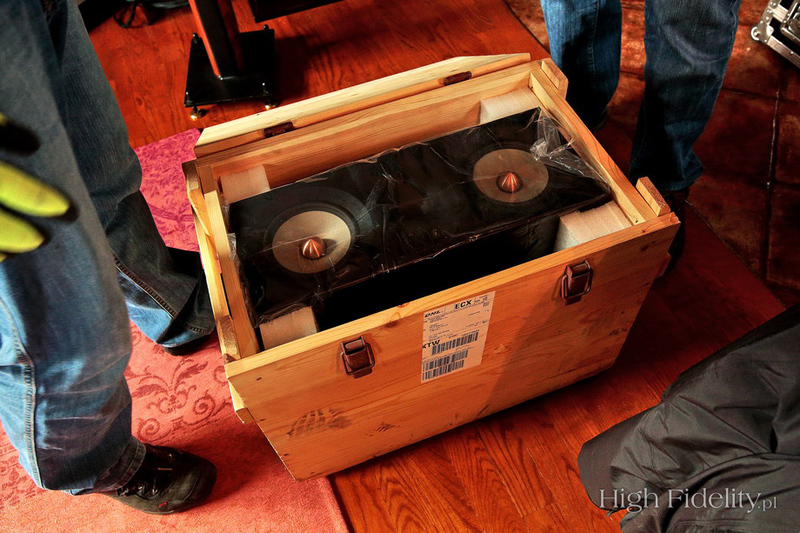 Last month you could read in “HighFidelity” what a CEO of YG Acoustics, Mr Yoav Geva, had to say about his loudspeakers (see HERE). 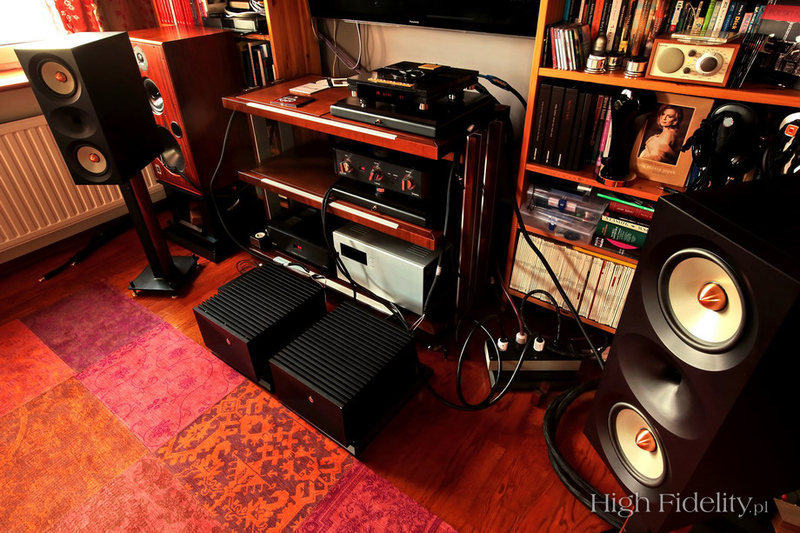 Not only do they use many interesting solutions for the drivers and crossovers, but also cabinets of their speakers are quite particular, being a key factor in achieving a final sound. These cabinets are made of aluminum slabs using vibration-free pressurized assembly, creating sort of monolith design, that reminds me of products of another American company – Magico. Not more then 5-6 years ago using any other material for speakers' cabinets than wood (in one of its forms or the other) was thought to be eccentric (at best), possibly harmless but having nothing to do with “true” audio. These eccentricities included materials like: glass, concrete and aluminum. Today, after the audio world recognized the amazing Crystal Cable speakers (glass) and both above mentioned manufacturers of aluminum speakers, the general view on what is and what is not the “right” material for speaker's cabinet has changed significantly. 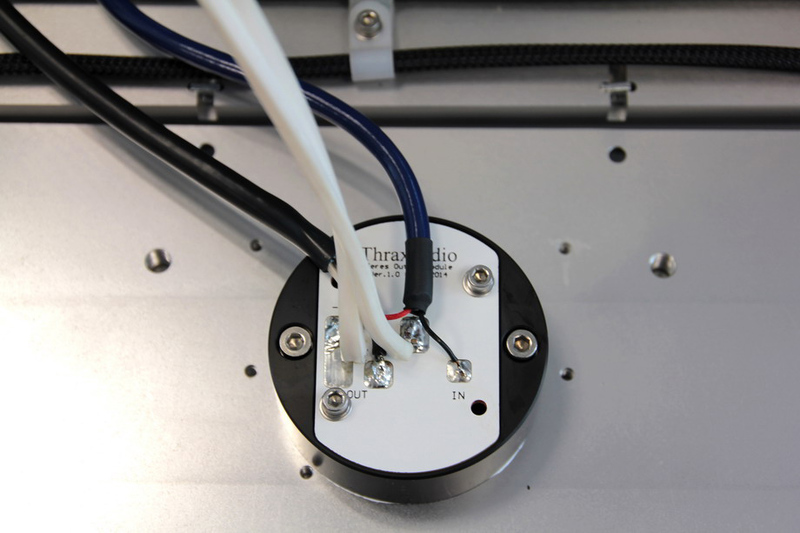 Thrax Audio Ltd., a manufacturer of Thrax products, decided to use most rigid, vibration-free enclosures for their products. Based on the experience of other manufacturers, they knew how to do it – it “only” required them to buy crazy expensive CNC machines. So they did. 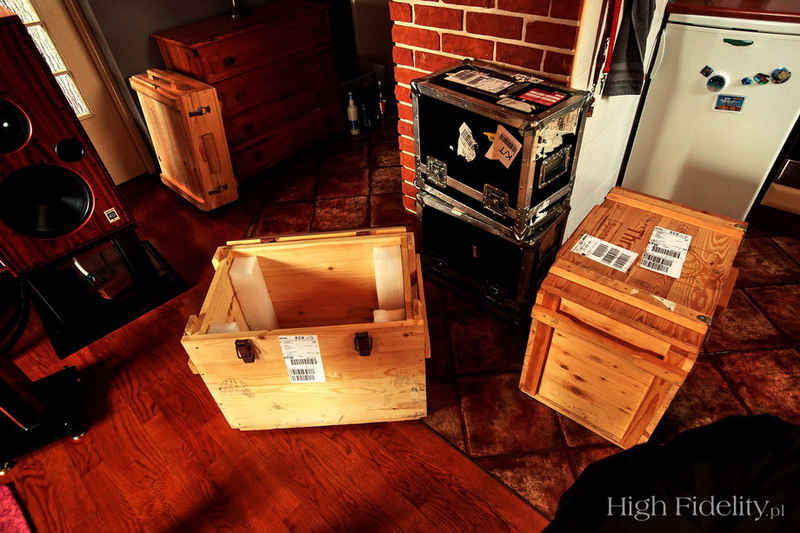 It didn't take long before they had such an advanced machinery and such an experience with using them that some renown European high-end manufacturers started to commission enclosure production to the Bulgarian company. 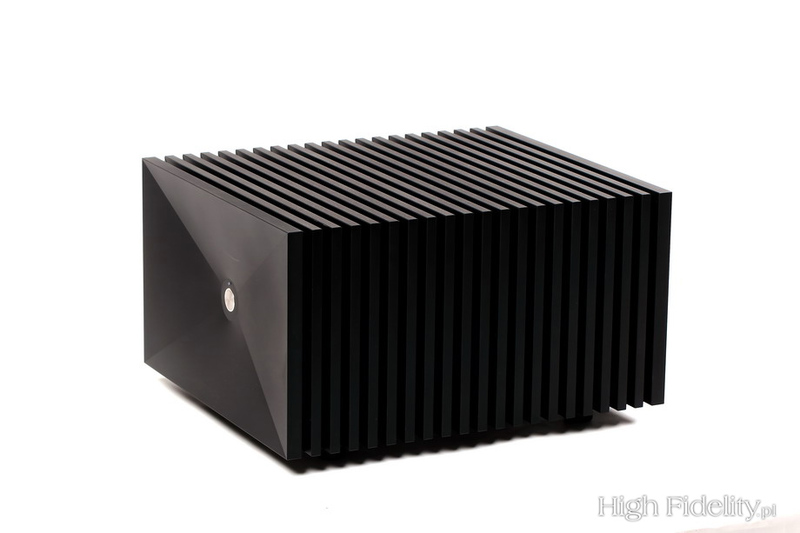 A casing of the new power amplifier, Teres, looks like it was carved of solid aluminum block – the fit and finish is that good. 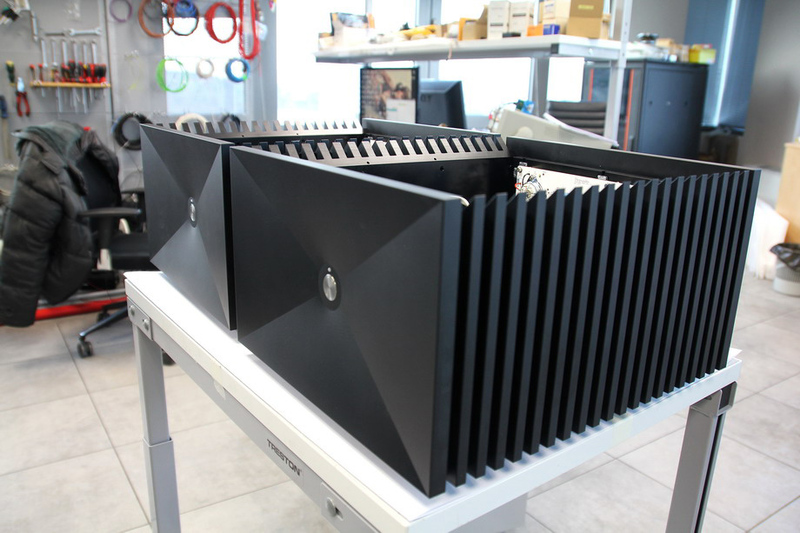 Actually it was made of aluminum plates put precisely together, with outer surfaces of side panels milled in such a way that they look like radiators. This amp is getting really hot under stress as the current mode uses a pair of single transistors per phase. It is a unique design as there are only two gain stages in a cascode: a single penthode C3g in the input stage and JFET followers in the output. C3g is an octal tube with metal body. Input and output stages are coupled with a single transformer. There is no negative feedback loop. 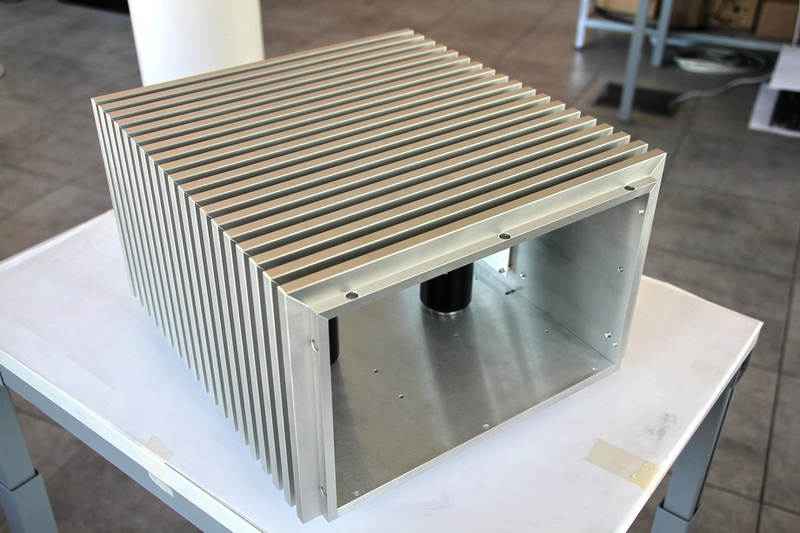 When it comes to electronics aluminum casings are very common, even such advanced ones as Thrax's. But aluminum cabinets for speakers are still quite rare. 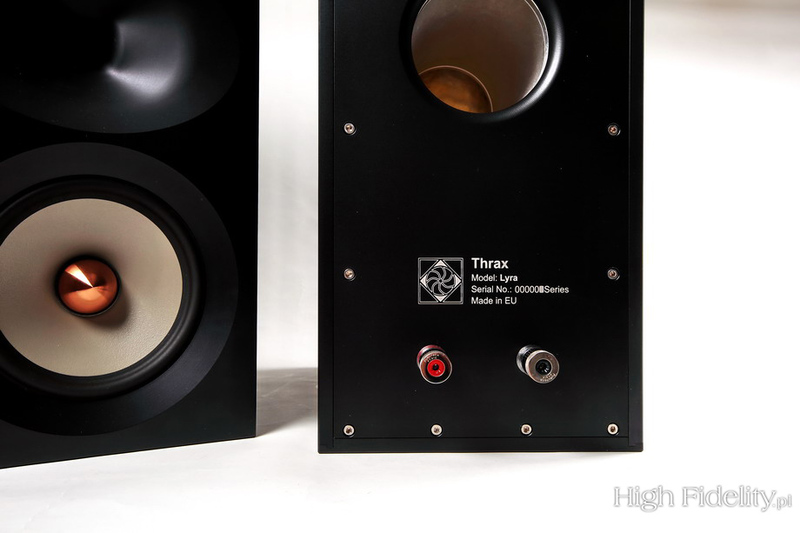 Lyra speakers are the newest addition to Thrax portfolio despite the fact, that Rumen Atarski's first audio project ever was speakers. It is a two-way, three-driver design, with drivers in D’Appolito array. 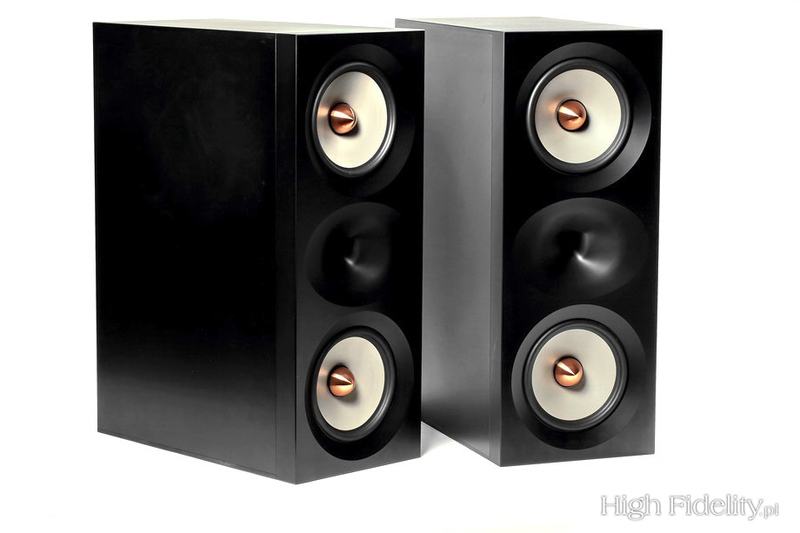 The concept is quite unique because of extraordinary rigidness of the cabinet, very special, aluminum bass-reflex port design, and very special crossover. The latter sports a huge capacitor for tweeter and that's it! 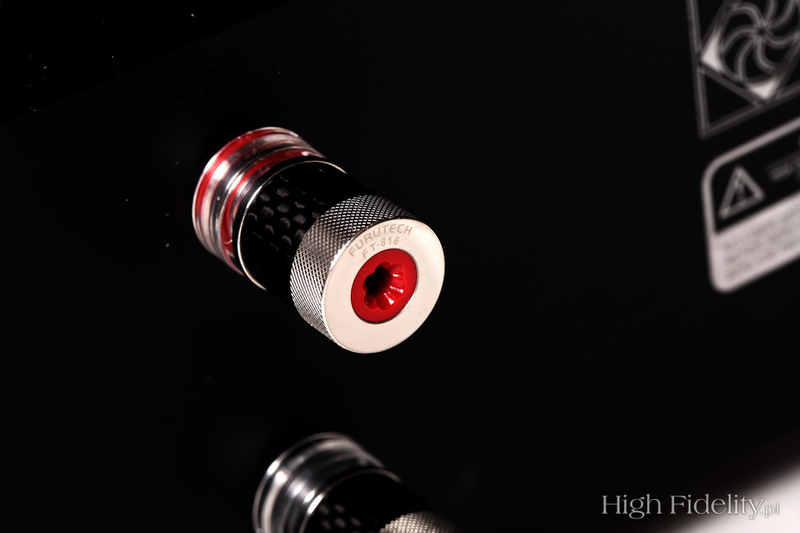 Speakers and amplifiers use a high quality, user-friendly Furutech speaker binding posts. The story of Teres. 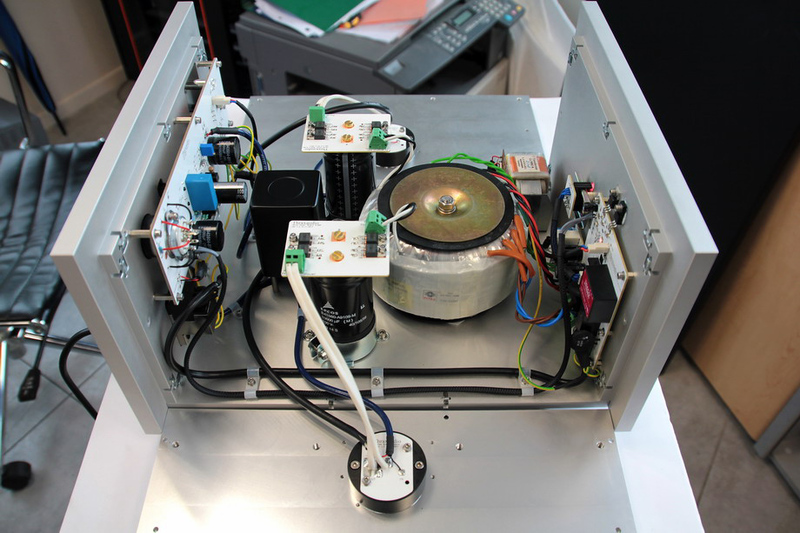 As you know Spartacus is our statement amplifier, 2 gain stages with Class A push pull output stage. Many people were scared by the exposed tubes and all were requesting a bit more power. So I started working on a circuit that will have a tube controlling a power MOSFET that can replace the output tubes in the Spartacus. 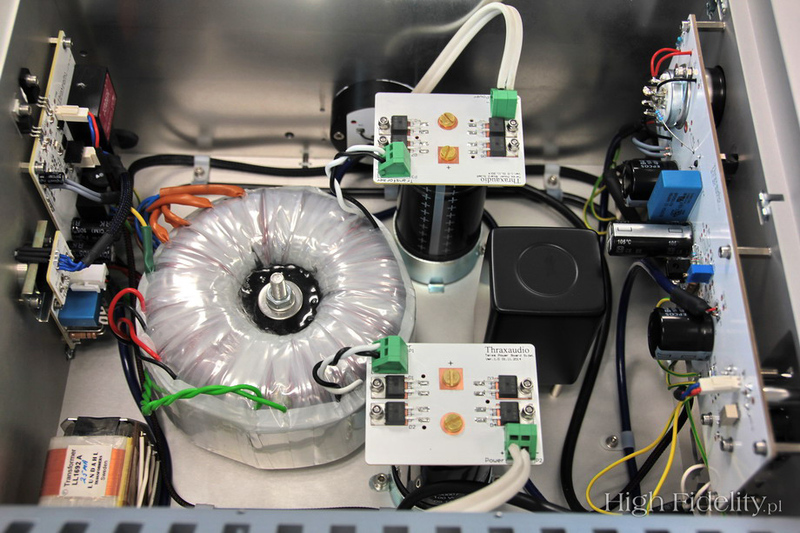 Solid state and inductive loads don’t go well tighter and many devices let their gray smoke out. Fortunately for us new devices were introduced to the market that could withstand the high voltages and power required. This gave birth to a unique cascode system for the output. It is still operated at high voltage but not nearly as high as on the tubes. 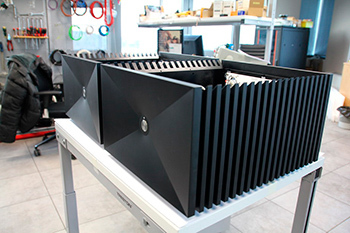 The output transformer used to load this cascode made it sound and behave as a tube amplifier and simplifying the input, as to be essentially a single stage device. So Heros was born. A year later all our dealers started asking for more power and bigger amplifier with the same character. 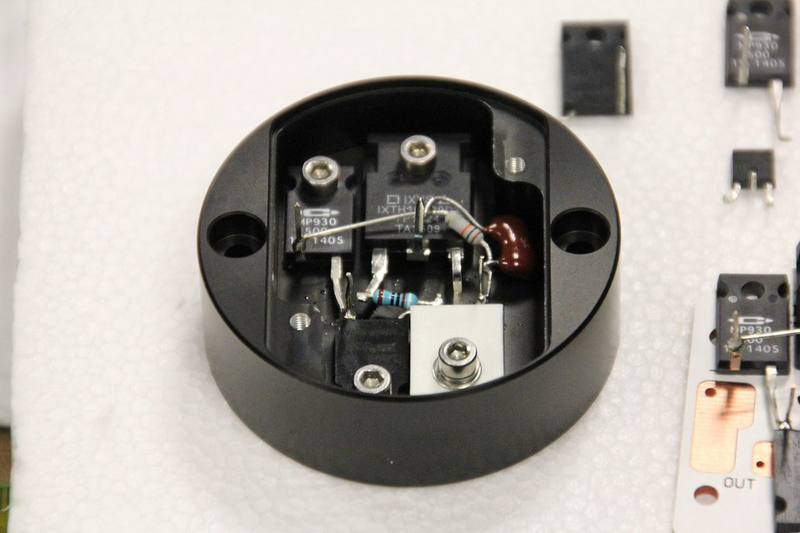 There was no commercially available output transformer of sufficient quality for power above 200W, so the only option was transformer less output stage. This automatically prevented the use of Heros driving system, so I went back to the drawing board. We resorted to the topology of Spartacus again and implemented it in Teres. 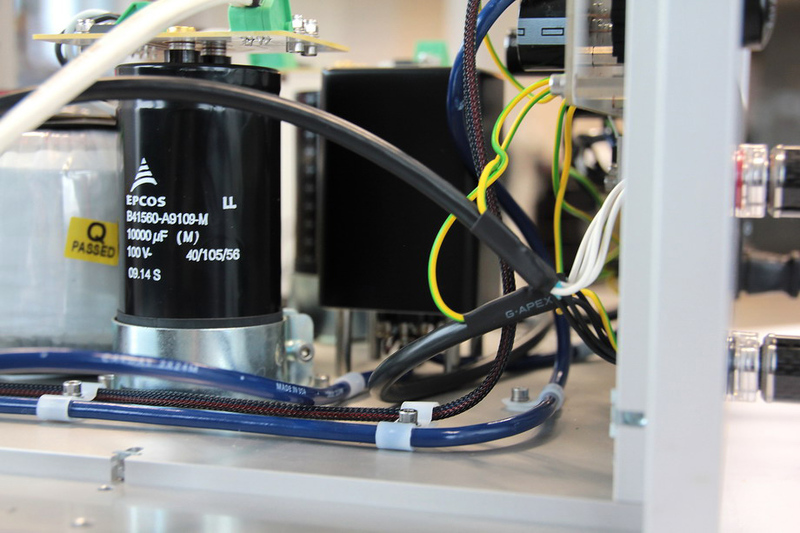 we use an input tube for voltage gain and a transformer for phase splitting (same as in Spartacus), but here we replace the standard push pull output with 2 totally independent single ended followers based on a scaled version of our cascode. Running them out of phase to each other and sharing the load, forming a bridge that is unbalanced by the phase splitting transformer signal in order to be re-balanced trough the load with a mirror image of the same signal. 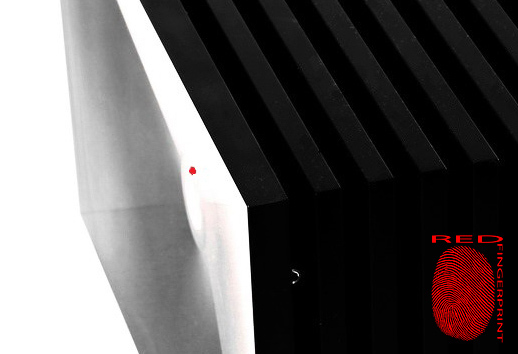 The output stage has no character of it’s own, so the sonic color of the the tube stage is the overall character of the amplifier. Regarding Lyra. The development started around a driver developed by BMS. It uses a ring diaphragm. It was patented more than 15 years ago. During the research for wide bandwidth horns at Spherovox new profiles with different directivity properties where developed. 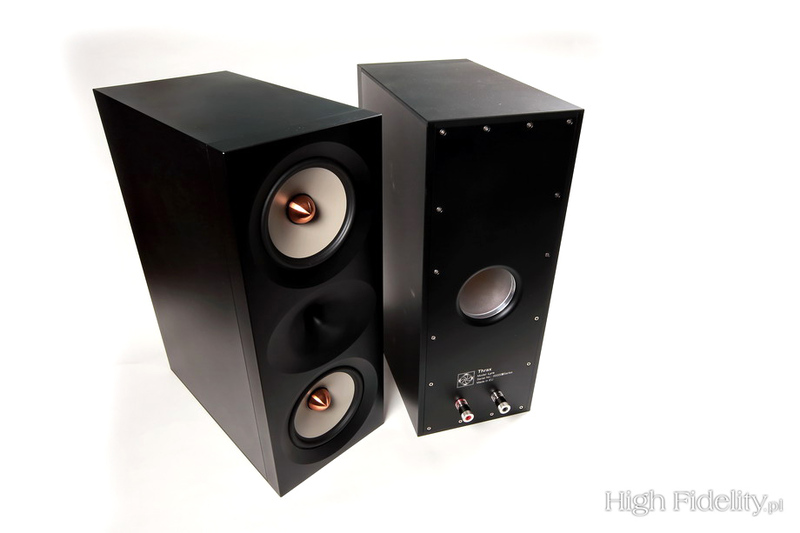 We just adapted one of the designs for high end audio. It uses a custom “short” version of the driver and the special horn to cover the 1.5k-20k range with an outrageous sensitivity of 112db/W. 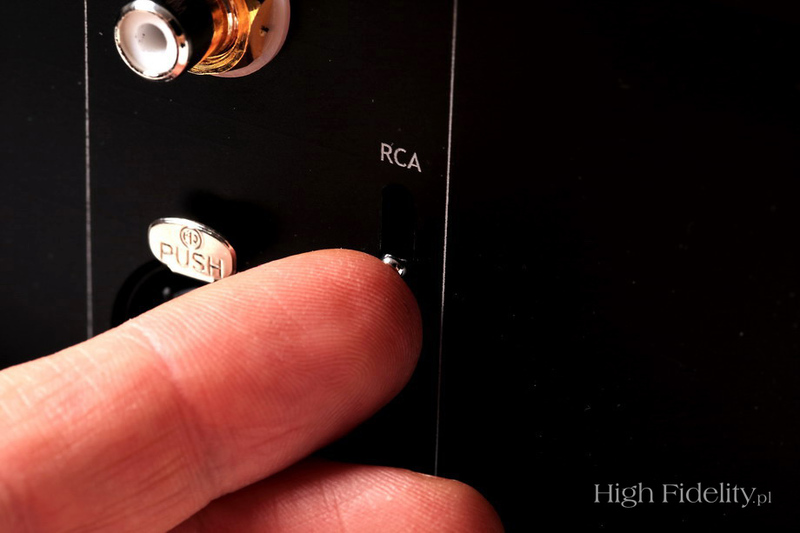 We use a combination of the horn loading and the High Pass filter to tailor the response of the tweeter while severely attenuating it to mach the mid/bass unites. There is no stress for this driver at ANY level. It practically has lower intermodulation distortion than the amps.! 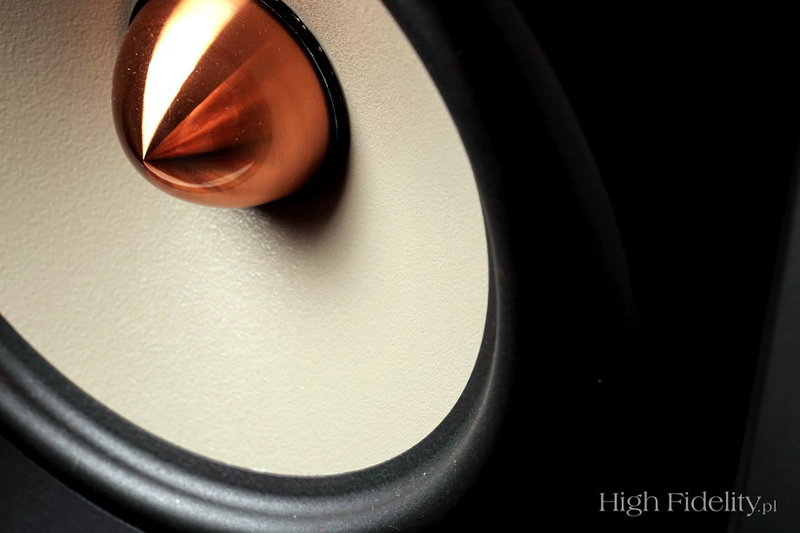 The 6.5” drivers are used only bellow the 1.5kHz crossover. This prevents them from exiting the breakup modes of the magnesium diaphragms. 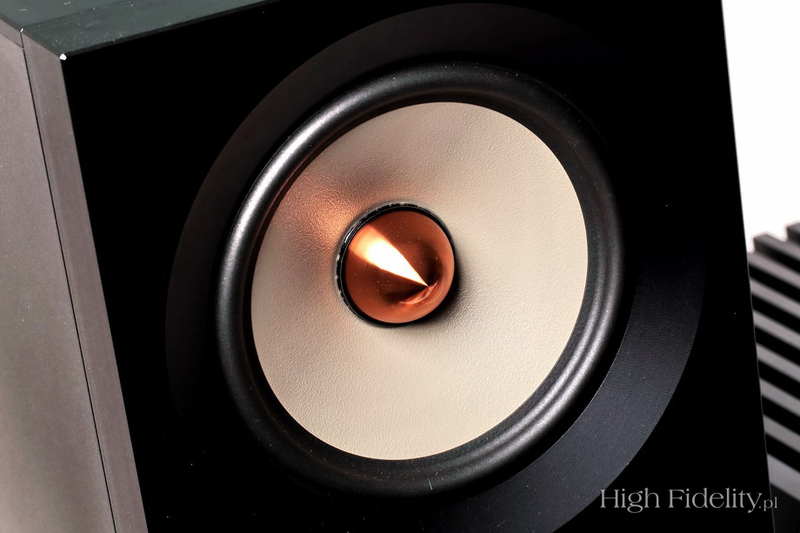 In order to get the perfect time/phase alignment the front panel of the speaker is carved from solid accommodating for the relative positions of the drivers. Geometry is optimized for listening distance of 3.5m. 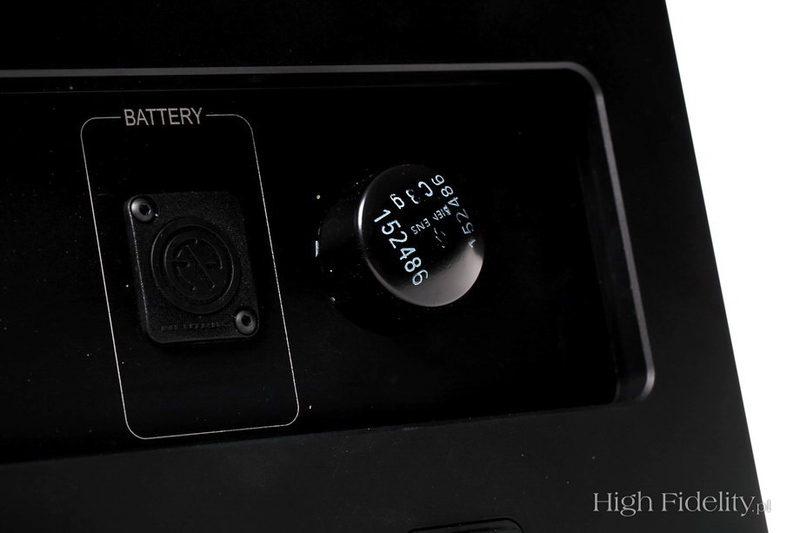 The solid aluminum prevents any vibrations in the enclosure and specially the front. Abraxas, 99, Metal Mind Records MMP CD 0102, CD (1999). Abraxas, 99, Metal Mind Records/Art Muza JK2011CD07, gold-CD (1999/2011). Aquavoice, Nocturne, Zoharum Release ZOHAR 077-2, CD (2014). Bob Dylan, Oh Mercy, Columbia/Sony Music Labels Inc. SICP-30579, Blu-Spec CD2 (1989/2014). Helen Merrill, Helen Merrill with Clifford Brown. Singles box, EmArcy/Universal Music LLC (Japan) UCCM-9336/8, “Limited Edition” 3 x SHM-CD (1955/2014). J.S. Bach, English Suites 1, 3 & 5, wyk. Piotr Anderszewski, Warner Classics/Warner Music Japan WPCS -12882, CD (2014). Leszek Kułakowski Ensemble, Looking Ahead, ForTune 0043, “No 031”, CD (2014). Ludwig van Beethoven, Sonatas op. 109, 110 and 111, piano: Evgeni Korolov, Tacet 208, “The Koroliov Series Vol. XVI”, CD (2014). Pet Shop Boys, PopArt: Pet Shop Boys – The Hits , Parlophone/Toshiba-EMI TOCP-66252-54, 3 x CCD (2003). Porcupine Tree, The Incident, Roadrunner Records/WHD Entertainment IECP-10198, 2 x HiQualityCD (2009). Queen, Queen Forever, Virgin/Universal Music LLC (Japan) UICY-15347/8, 2 x SHM-CD (2014). Sting, All This Time, A&M Records 212354-2, SP CD (1991). Voice Factory, Voice Factory Sings Chopin a Capella, Voice Factory, CD (2014). Whatever will I write later, whatever assessment will I pass I would like to send a strong signal already now to all electronic music fans, to those who like close, palpable presentation, and to those who expect not a huge space far behind speakers, but a close sphere built around listener sitting in its center: all of you can can search no further. If you can afford this system just buy it and keep it for ever. It is a system of a very strong sonic character. What it offered might not have been exactly my cup of tea, but it did not matter at all. This time I didn't mind at all to fall for something offering quite different qualities from those I usually search for. 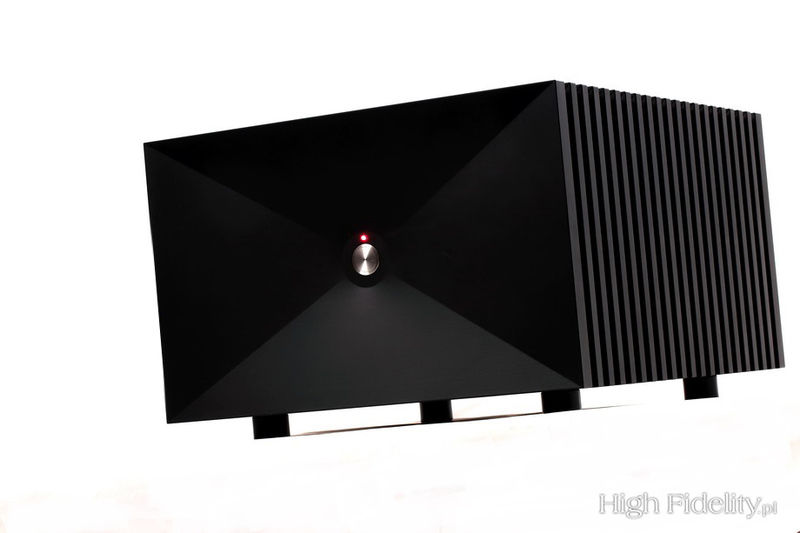 The quality of the above mentioned sound features is so high that this Thrax system could be exhibited in the Museum of Sound as a perfect example of a high class, sophisticated piece of art.